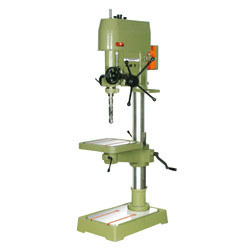 Offering you a complete choice of products which include lathe machine, metal cutting bandsaw, welding machine, hacksaw machine, bench grinder and pillar drill. We are offering a high quality range of Lathe Machine to our most reliable clients which are situated all around the nations. These machines are demanded highly in various industrial sectors to obtain required outcome. Offered range of machine is made from optimum quality raw material and manufactured under the supervision of expert team of professionals in accordance with the international quality standards. One can avail these machines at pocket friendly price from us. 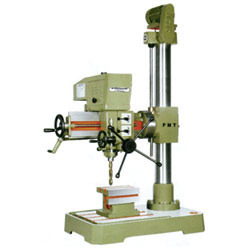 As a renowned organization, we are engaged in offering a wide range of Metal Cutting Bandsaw. Offered products are checked on many preset quality parameters and are authenticated as per the global standards of quality. These products are resistant to corrosion and ensure long service life. These products are highly appreciated and demanded by our clients due to their high quality and performance. We are offering these products at nominal market price. With our efficiency and vast knowledge in the industry, we have come up with a wide array of Welding Machine. 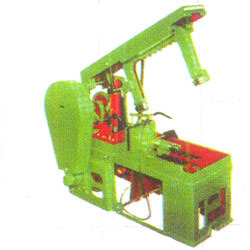 The offered range of machine is manufactured from high quality components. To meet the exact requirements of various clients, this machine is available in a wide variety of specifications. Moreover, we are offering these machines at leading market price to our patrons. The offered range is highly appreciated and demanded by our valued clients for its desired performance and quality. 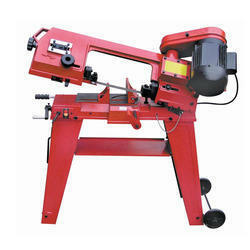 Our organization specializes in providing an excellent range of Hacksaw Machine. We are offering these machines in various technical specifications to meet the requirement of various clients. To maintain industry defined quality parameters, it is manufactured using quality tested components and advance technology. Requiring low maintenance, these come in market at pocket friendly prices. We assure to our valuable clients for timely delivery of these products.